This travel set comes in a handy hard-shelled plastic case that allows you to take your handles and disposable tips with you on work trips and holidays. Leigh Hunter is a MSc, PGCFHE, DipDT, DipDH, DipDHE(RSH), CertHEd, Oral health coach, clinician and director at growingsmiles.co.uk. 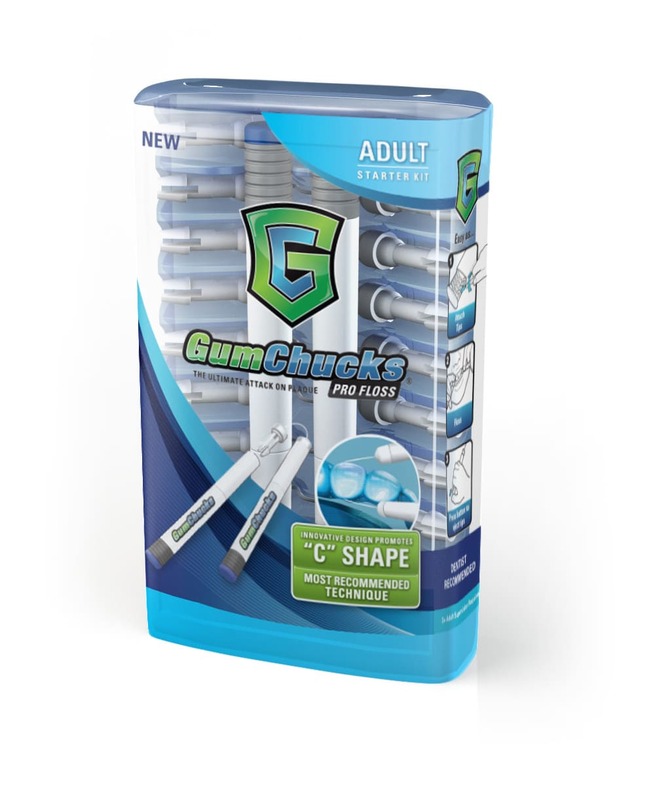 "In over 30 years of practice GumChucks are the only flossing aid I have recommended. They are easy to use - from 5 year olds to carers. They make it easy to bring floss into tight contact with the interproximal tooth surface which aids effective plaque biofilm removal to the surfaces that a toothbrush can't reach - from the front to the very back teeth."